Your little monkey can improve her balance and coordination with a sturdy wooden wobbly board! 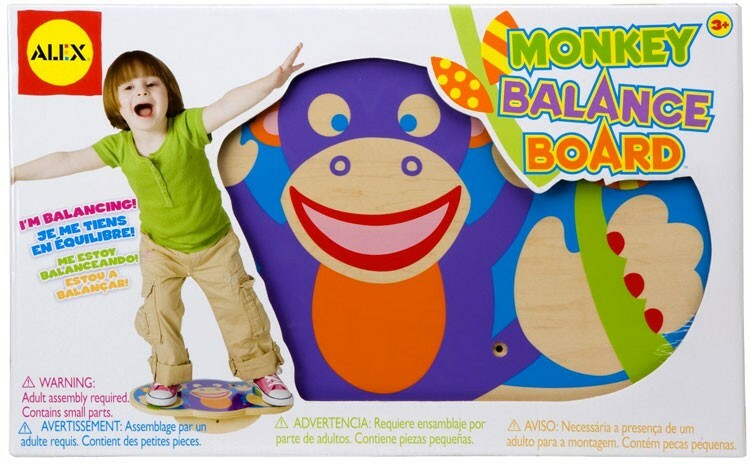 Perfectly sized for little feet – yet able to accommodate larger ones – this balance board features an adorable monkey graphic. 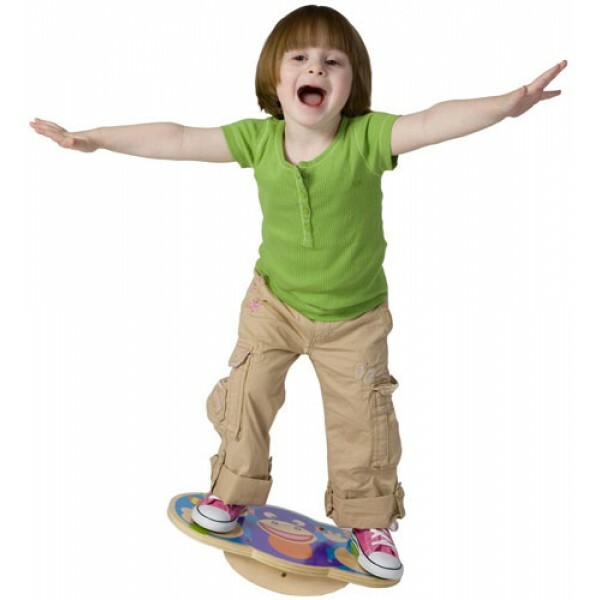 Designed for ages three and up, the board supports balancers up to 200 pounds, making it suitable for the entire family to enjoy. 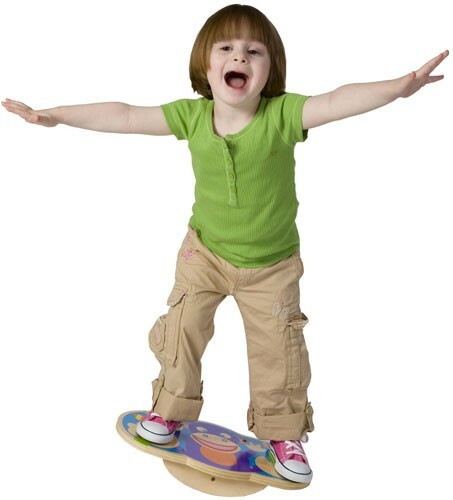 Easy for adults to assemble, this balance board provides durability and fun that can be used indoors as well as outdoors. The Monkey Balanace Board comes with the platform, two sideboards, dowel, six screws, and instructions. For toys and gear to keep kids active all year round, visit our Indoor Active Play and Outdoor Play sections.